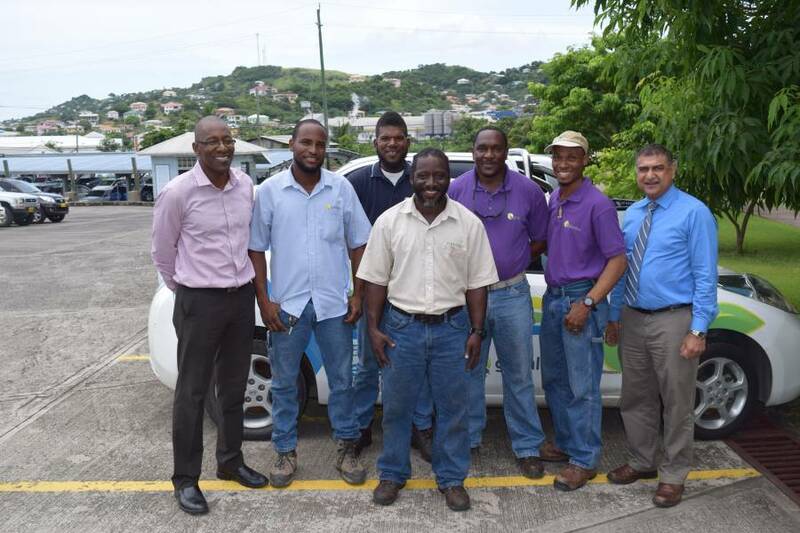 On Friday, 15 September, 5 Grenlec team members departed Grenada to support the utility workers of Anguilla with electricity restoration over the next 3 weeks. The 5 men are Shawn Manwarring (Team leader), Mekiel Mitchell, Joshua Francis, Jaworski Toussaint and Daron Charles. The Board, Management and Staff of Grenlec are grateful to our 5 ambassadors for accepting the challenge to serve our neighbours and wish them and their counterparts from other countries well as they support the staff of ANGLEC.